Earth Day is a day that is intended to inspire people about awareness and appreciation for the Earth’s natural environment. It tell us how important Earth is for us, and how we can save our earth. Earth Day is celebrated by more than 175 countries worldwide on April 22 every year. 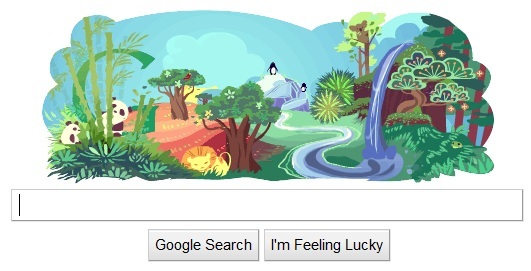 Today is Earth Day and Google is celebrating earth day with a Doodle on homepage on Google. Google doodle tell us about beauty of nature, animals, green. Its great move by Google.